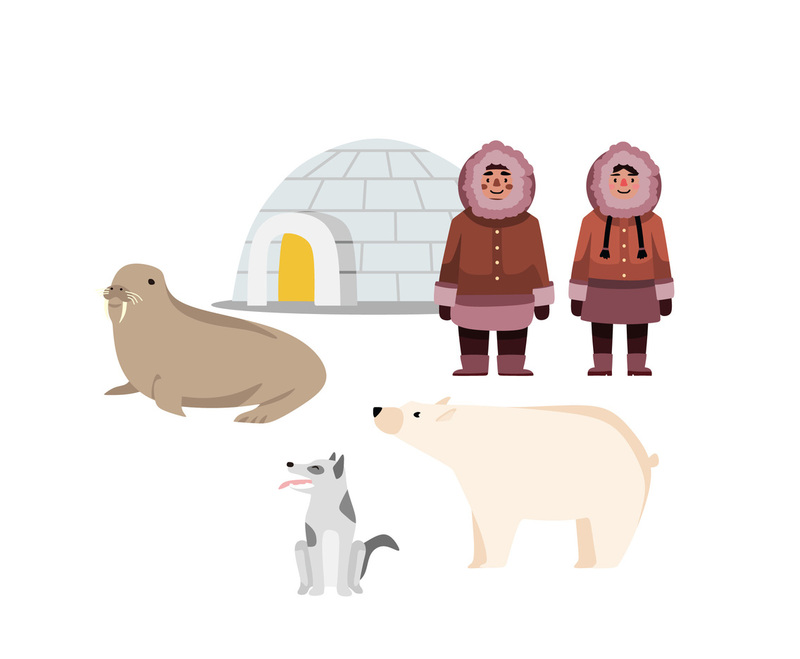 Illustration set of Eskimo life in vector format. In the set you'll find illustration of igloo, seal, grizzly bear, husky and a couple of Eskimos. You can use this set for infography about Eskimo or life in arctic.